When It Comes To Content It’s All About “The Reader” – Innovation Through Environmentally-Responsible & Moral Journalism – The Mr. Magazine™ Interview With Chris Theodore, Co-Founder, Editor, The Reader Magazine. 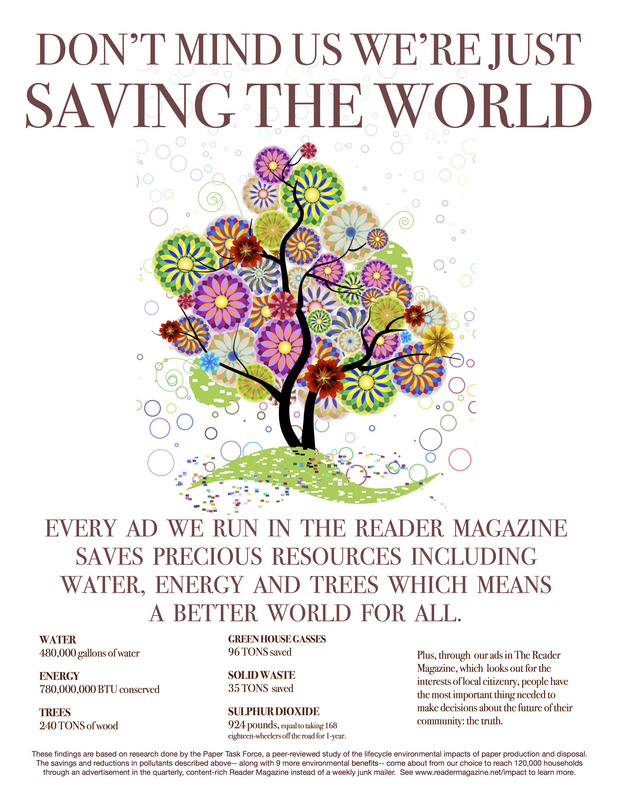 The power of print has never been more evident than with The Reader Magazine. Co-founder and editor, Chris Theodore is a soft-spoken man who has the heart of a lion when it comes to the mission of his magazine. 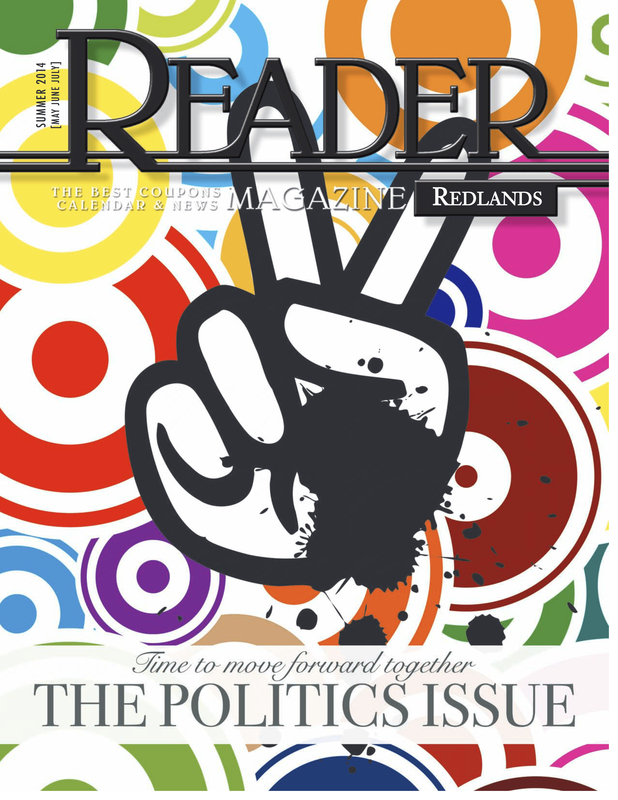 The Reader is a free news publication founded in 2001 and its mission is to help advertisers influence local audiences through positive environmental, social and economic impact in communities. Through moral integrity, social responsibility and a genuine desire to change people’s lives, The Reader is a journalistic endeavor that has definitely made its mark in the world of magazines and magazine media. I spoke with Chris recently and we talked about the magazine’s noble foundation and purpose and about the goal of expansion which will happen in three phases over the next five years. The goal – to become the first single media entity with a journalistic connection with every American, to create a Reader Nation. A lofty goal, some might say, but nevertheless, their ultimate dream of providing print and Internet advertising to all U.S. advertisers, would change the face of advertising immeasurably. The environmentally-responsible business model that it implements is done with the primary goal of saving each advertiser an average of 4 tons of wood per year by driving advertiser ROI through journalistic content rather than high frequency, which in turn is a monetary amount of over $3,500 per year. It’s a remarkable magazine with a remarkable man behind the wheel. The passion and enthusiasm that Chris feels for both the brand and the cause is palpable. 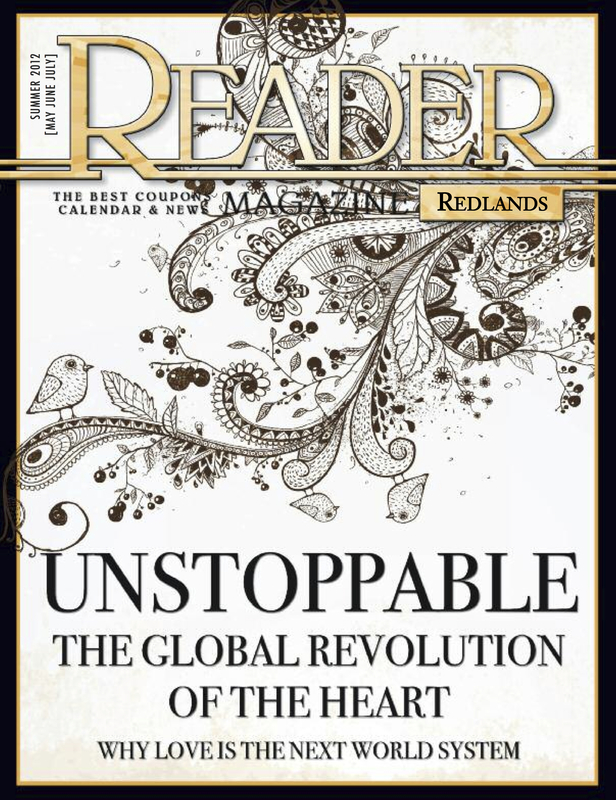 So, I hope you enjoy being “The Reader” of this interview with Chris Theodore, Co-founder and Editor, The Reader Magazine… I know I thoroughly did. 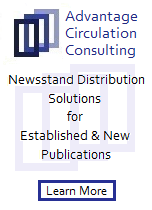 On a description of what The Reader is: It’s a publication that’s education-focused, free, and really revolutionizes standard direct mail by focusing on good content and the power of what paper and print can do. On why he believes some magazine publishers have missed the boat on the power of print: Certainly some people have not missed the boat. Let’s talk about The Economist, which I heard was just up for sale. I read that they were doing something like $500 million in sales and $95 million in profit. I don’t know that company well enough to tell you what part of that revenue is print-driven, but I bet a big part of it is. (Laughs) Probably 80% of it is. So, clearly there are companies who understand that power and are just going right after it, or aren’t trying to hide what they do. On The Reader’s approach with advertisers when it comes to its environmentally-responsible business model concerning the magazine versus direct mail: It was research that we undertook about two or three years ago that we’re really glad that we focused on. It came about through relationships with third-party, non-profit organizations that were more than glad to help us determine that. It was really super-cool to be able to give people this sensible, accurate and scientific peer review in a type of analysis, which was awesome. Does it matter to our advertisers? I think to some, yes. I haven’t done research as to the impact our environmentally-responsible model has on our advertisers, but I can tell you that it’s clear when we’re discussing advertising that it is increasingly a positive thing when we’re talking to potential advertisers. On whether he thinks The Reader is more of an advocate magazine or a journalistic magazine: One of the most powerful things that we do, and I can feel the goose bumps forming on my arm as I’m telling you, is the fact that we use our magazine in a moral way. We try to find information that can communicate in a moral way. Does that mean advocacy? I wouldn’t use the word advocacy; you might call it solution-focused journalism. Some people call it explanatory journalism. On whether he believes the magazine could have accomplished its goal and vision without the print component, if it were digital-only: That’s an interesting question. I don’t know the answer to that. We certainly could never do what we’re intending to do, nor would we have the impact in a local community if we were just digital, because there are just too many choices out there. What’s interesting about print is that – well, there are many things interesting about print as you well know, but I would say that one of them is the power to be in someone’s home and to have something tangible. That’s very important. On the fact that he and The Reader hit the spotlight when he asked the Governor of California for $26 million to hire 439 laid-off PennySaver employees and whether he received the money: No, we haven’t gotten the money yet. (Laughs too) It remains to be seen where that money will come from. It’s important to be patient and our company’s strategy is sure-footed; we’ve always been sure-footed. Things are still in a positive state in terms of potentially working and getting this money from the state of California. On the expansion plans for The Reader: When I thought about doing what we’re doing in this area, Southern California, at the very beginning my dream was to just do this area. Then that dream and my desire grew. Even in 2006, believe it or not, we were dreaming about expanding into greater areas, but we really hadn’t put together the plan. We’d done a lot of hard work, but we hadn’t done what can be the excruciatingly hard work of doing all of the financial analysis and all of the operational and strategical analyses and all of the research, that we have now done. So, that has resulted in what is about an 87-page business planning process paper that shows specifically every state, including Mississippi, and when we will create a zone in that area. On the major stumbling block he might face and how he would overcome it: The key will be talent; attracting and hiring, managing, inspiring and retaining talent. Our plan for addressing that will be what I eluded to earlier, which is we will keep our focus on the noble purpose of what we’re doing. And we will make sure that those who come aboard understand that this is not just about profitability, it’s about bringing something needed and that can transform hearts and individual’s lives into their homes that they wouldn’t have otherwise. On anything else he’d like to add: Blowing the lid off just a little more about the myth of advertising expenditures is something I find interesting and one of my favorites is, according to Ad Age magazine as well as BIA/Kelsey, a local advertising research company, of the $140 billion spent on local advertising last year, 50% was spent on some form of print advertising, 27% of the $140 billion was spent on direct mail. But the most fascinating, I think, is how that shows people what’s happening with print and local advertising. 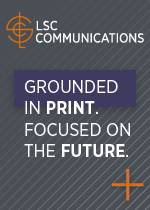 It is $70 billion that is spent on print and that’s not talking about national advertising. That’s local advertising. On what keeps him up at night: There’s really not one thing in particular. There’s not one thing that really keeps me up at night, because right now to be honest with you, my feeling is that it’s time to move. There are various times in life that we do things and that we want things, but right now it’s time to simply put it altogether and to move forward. And now for the lightly edited transcript of the Mr. Magazine™ conversation with Chris Theodore, Co-Founder, Editor, The Reader Magazine. Samir Husni: Could you tell me a little about The Reader? 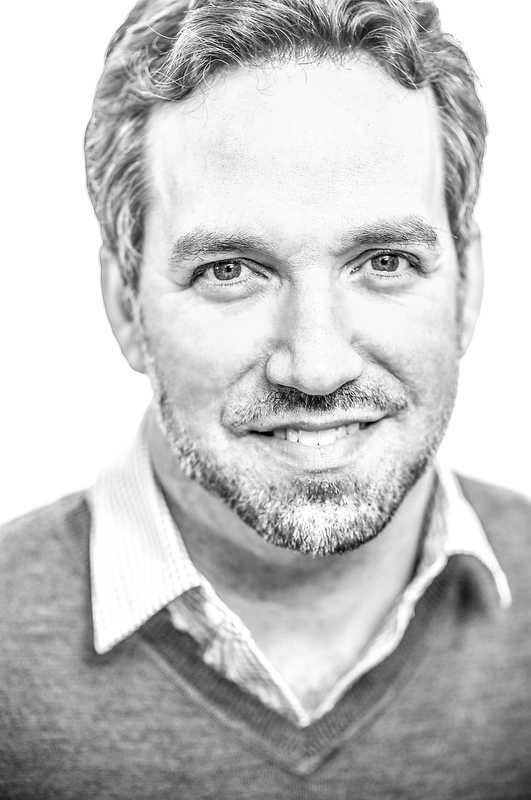 Chris Theodore: It’s a publication that’s education-focused, free, and really revolutionizes standard direct mail by focusing on good content and the power of what paper and print can do. And what we find quite interesting and fascinating is that the direct mail industry has really been missing the opportunity that print and stories present. And what we do in The Reader magazine is we revive those values that are inherent in an IT (Information Technology), and we call print an IT that is underappreciated, but also extremely widely-used and understood. And why its understanding is important and why its familiarity is actually important is because that’s the door that opens when you start talking about print to actual lay people or businesspeople. And when you’re describing the power of print to businesspeople, it’s not a story that you have to try very hard to get people to understand, which is very important because that way you can sell advertising. So, there is a huge door opening there, which paves the way for a relationship with a businessperson. And that would be one way to describe The Reader magazine. Samir Husni: Why do you think a lot of other publishers and magazine publishers have missed or ignored that story and now people are calling it content marketing or native advertising, rather than using the power of print to deliver stories plus advertising? Why have they missed the boat on this? Chris Theodore: Certainly some people have not missed the boat. There’s a great website that I found recently called “The Power of Print,” I’m not really quite sure what they’re doing, but they are people who obviously love print. But let me try and hit your question straight-on. I would say actually that there are plenty of publishers out there who understand it and that they’re doing well and their business model is doing well. Let’s talk about The Economist, which I heard was just up for sale. I read that they were doing something like $500 million in sales and $95 million in profit. I don’t know that company well enough to tell you what part of that revenue is print-driven, but I bet a big part of it is. (Laughs) Probably 80% of it is. So, clearly there are companies who understand that power and are just going right after it, or aren’t trying to hide what they do. Interestingly on the other hand, there are companies here in California that are calling their companies digital first rather than what they are which is a media channel, which I find really quite interesting. They’re supposed to be a local media channel. And I think some of is bad information. Samir Husni: I refer to that as falling in love with the first gorgeous mistress who walks the hallways of those companies, tempting them with the revenues of digital, while our faithful partner called print has been and still is providing us with our daily bread. Chris Theodore: You’re right and has been for a long, long time. Samir Husni: Let me ask you specifically about The Reader because I was fascinated in the way that you said: you use The Reader to advertise instead of high-frequency junk mail or direct mail. And the amount of savings in terms of trees and water; tell me more about that concept and as you go and approach your clients, your advertisers, and you compare direct mail to The Reader as the vehicle of delivery for their advertisements; tell me about that conversation. Chris Theodore: Yes, of course. It was research that we undertook about two or three years ago that we’re really glad that we focused on. It came about through relationships with third-party, non-profit organizations that were more than glad to help us determine that. It was really super-cool to be able to give people this sensible, accurate and scientific peer review in a type of analysis, which was awesome. Does it matter to our advertisers? I think to some, yes. I haven’t done research as to the impact our environmentally-responsible model has on our advertisers, but I can tell you that it’s clear when we’re discussing advertising that it is increasingly a positive thing when we’re talking to potential advertisers. I think that also corresponds to the amount of people in the United States who increasingly care about lowering fossil-fuel burning, which is interesting because our next issue is on the environmental politics in California. And one of the things I’m learning is there are some things that, not just Californians, but all Americans think about in terms of the environment, or let me say not all, but a high majority, and one of them is lowering fossil-fuel use. So, it’s really been a timely thing. I think one of the things we’re good at is timing, in terms of our publication. In business it’s always helpful to be that. The environmental impact is something that’s important, particularly in California where we’re having a drought, for our advertisers to know and for our audiences to know. And that each of our advertisers is saving a community 40,000 gallons of water a year. From an advertisement standpoint, that’s about the size of two business cards, if I’m not mistaken. And that’s something that matters to them. Then we can figure it all out, there’s all kinds of cool calculators online; we can figure out what 40,000 gallons equals for a community, let’s say with 120,000 households. So, it’s a cool time. I love being in the magazine business right now for many reasons. One of them is having access to great information that we can provide people simultaneously and generally in my opinion; it’s a quality level of educationally-focused information that is presented in ways that do not alienate or do not pander. There’s a need for that, despite the incredible amount of information everywhere. There is still a need for good content. Samir Husni: Is The Reader more of an advocate magazine or more of a journalistic magazine? Chris Theodore: That’s a great question. I’ll answer it this way; my colleague and the co-founder of The Reader magazine, sent me a wonderful article yesterday that was in Forbes. And it was about how some companies, and they were using Monster.com as an example, tail spun and fell apart because they lost their sense of noble purpose. They were talking about how originally Monster.com was saying that they wanted people to have a job that they cared about and something that they could feel good about. The whole focus was on making sure that the users used that medium in order to do something very important in their lives, which was to find something with meaning. And they lost that. When it was all profit-driven and the CEO, who was subsequently fired, was all about the quarterly and focusing on it, they lost that sense of noble purpose. I bring that up because one of the most powerful things that we do, and I can feel the goose bumps forming on my arm as I’m telling you, is the fact that we use our magazine in a moral way. We try to find information that can communicate in a moral way. Does that mean advocacy? I wouldn’t use the word advocacy; you might call it solution-focused journalism. Some people call it explanatory journalism. I would say that one of the things missing today is a certain moral quality when it comes to journalism and the information being shared with people. And you might be able to sense why this would be so important; if you have a free publication and you can actually master a certain moral tone without being over-the-top or coming across as: this is the only way, but rather basing your information on a basis of truth, something like what The Center for Public Integrity does, where you can tell after a while, if you’ve been following their journalistic brand, after some years, but it doesn’t really take years. You can actually pick it up the first time you ever see it. There’s a certain truthfulness and a certain avoidance of the same kind of language that gets people into problems. George Orwell once said that when he wrote an article, he used to be a journalist; he tried to not use words or expressions that were simply the repetition of what others had said. So, if you just try hard enough you can create a certain moral brand, if you will, that actually is legitimate and relevant. Samir Husni: And do you think you could have accomplished what you have with The Reader without the print component, if you were digital-only? Chris Theodore: That’s an interesting question. I don’t know the answer to that. We certainly could never do what we’re intending to do, nor would we have the impact in a local community if we were just digital, because there are just too many choices out there. What’s interesting about print is that – well, there are many things interesting about print as you well know, but I would say that one of them is the power to be in someone’s home and to have something tangible. That’s very important. So, I guess one of the answers to your question is that I don’t envision that. We wouldn’t have been able to achieve what we’re achieving and what we wanted to achieve any other way than through print. Chris Theodore: No, we haven’t gotten the money yet. (Laughs too) It remains to be seen where that money will come from. It’s important to be patient and our company’s strategy is sure-footed; we’ve always been sure-footed. Things are still in a positive state in terms of potentially working and getting this money from the state of California. But also it very well might not come from the state, but instead come from the Money Markets and the private sector, commercial sources, basically. Samir Husni: The Reader is doing well in the local market; it’s my understanding that advertising revenue was something like 46% higher this year than last. Is that the encouraging sign that is pushing you to go nationwide, to expand? Or is it the mission that you want to share with the rest of the country after sharing it with California for 15 years? Chris Theodore: It’s both. That’s the short answer and I’ve given so few short answers that’ll I’ll keep it at that. Samir Husni: Tell me about the expansion plans; when could I expect to see, for example, The Reader delivered to my home in Mississippi? Chris Theodore: The expansion plan really grew out of a long, simmering desire to have a bigger impact than we had and to be able to bring the kind of information that I’ve described to more people. It came from a desire to share with people who might not have had the same kind of background that I did, which was a father who was an educator and a mother who was involved in non-profit work, so I was given a lot in my very fortunate upbringing. So that changed my trajectory. When I thought about doing what we’re doing in this area, Southern California, at the very beginning my dream was to just do this area. Then that dream and my desire grew. Even in 2006, believe it or not, we were dreaming about expanding into greater areas, but we really hadn’t put together the plan. We’d done a lot of hard work, but we hadn’t done what can be the excruciatingly hard work of doing all of the financial analysis and all of the operational and strategical analyses and all of the research, that we have now done. So, that has resulted in what is about an 87-page business planning process paper that shows specifically every state, including Mississippi, and when we will create a zone in that area. The short story is that the expansion will occur in three phases. The planning is somewhat flexible and I’m proud of our planning for that reason. In California, for example, when PennySaver closed, our plan was flexible enough and we knew the numbers enough that we could very quickly figure out what we would need in terms of upfront capital as well as anything else to change it somewhat so that we could accelerate the expansion and go into California, for example, on a faster way than we had. But the short story is it will occur in three phases over five years and everything has been laid out, not that things won’t come up, things will come up and problems will occur, but I have a very good understanding of this business; I have a very good understanding of this market and we feel that if we do what we have done up to now, which is being careful and making good decisions and having good people, eventually we will be nationwide in about five years. Samir Husni: What do you anticipate during those five years as being your major stumbling block and what is your contingency plan to overcome it? 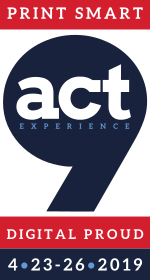 Chris Theodore: The key will be talent; attracting and hiring, managing, inspiring and retaining talent. Our plan for addressing that will be what I eluded to earlier, which is we will keep our focus on the noble purpose of what we’re doing. And we will make sure that those who come aboard understand that this is not just about profitability, it’s about bringing something needed and that can transform hearts and individual’s lives into their homes that they wouldn’t have otherwise. And I think that if we do a good job of not just communicating that, but actually living that and actually in our company, continue what we’re doing now, which is endeavoring to stay focused on the noble element and the purpose of what we’re doing, then that will continually enfranchise people who are working with us. But we’ll also be dealing with them in a way that they see congruency here and see that it’s real. And I want to be in an honest and real company. And that’s how I would answer that question and I’m not saying it’s going to be easy, but I’ll tell you this, it isn’t new to me. We will be able to apply a decade and a half of trial and error to the application of a very well thought-out plan in a market which is poised to accept what we’re doing. Chris Theodore: Blowing the lid off just a little more about the myth of advertising expenditures is something I find interesting and one of my favorites is, according to Ad Age magazine as well as BIA/Kelsey, a local advertising research company, of the $140 billion spent on local advertising last year, 50% was spent on some form of print advertising, 27% of the $140 billion was spent on direct mail. Interestingly, the projection for 2018 and by the way direct mail is the number one category of expenditures for local advertising in the United States; interestingly, it will remain so according to BIA/Kelsey in 2018. It will only go down by three percentage points. But the most fascinating, I think, is how that shows people what’s happening with print and local advertising. It is $70 billion that is spent on print and that’s not talking about national advertising. That’s local advertising. Chris Theodore: There’s really not one thing in particular. There’s not one thing that really keeps me up at night, because right now to be honest with you, my feeling is that it’s time to move. There are various times in life that we do things and that we want things, but right now it’s time to simply put it altogether and to move forward. It’s time to do this and time to expand. So, I’m not really taking a lot of time or worried about it. You are currently browsing the Mr. Magazine blog archives for the day Friday, August 28th, 2015.